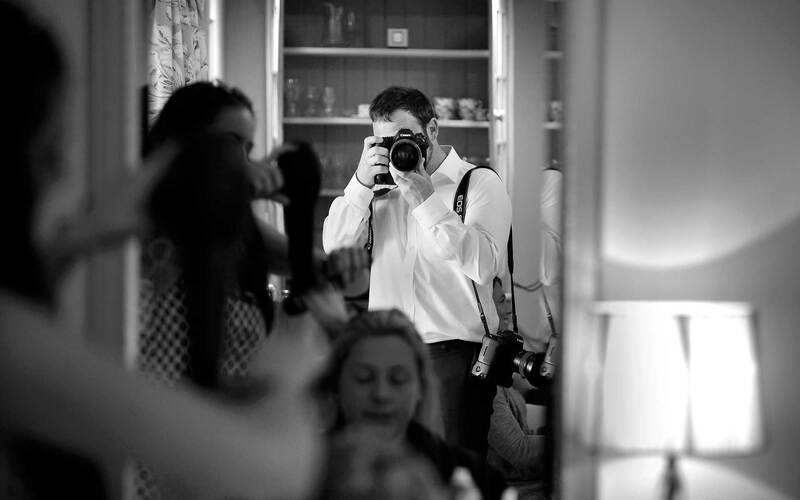 Sam is a professional wedding photojournalist based in Gloucestershire in the UK. Sam has also had a number of awards for his work including having an image named as the Sunday Times magazines picture of the year in 2007. So what does all this have to do with weddings? In recent times the photojournalistic style of photography has become very popular with many couples and as a result lots of photographers who previously shot more traditional images have moved into this area, imitating the style. As a fully trained photojournalist Sam has extensive experience of photographing in this way after working in this way for over 12 years. Now, as a full time wedding photographer Sam uses skills honed in the fast paced world of press photography to unobtrusively capture the events and emotions of your big day without disruption. Sam accepts only a limited number of weddings each year so that he can keep each one special. Each wedding benefits from careful pre planning and preparation including location visits and meetings with the happy couple before the day to ensure that everything goes off without a hitch! As every wedding and every couple are unique Sam does not have a rigid pricing structure, preferring to listen to what you want and put together a package to suit your individual requirements. Prices for a full day's photography in the peak summer season start from as little as £950 so if you are interested in having Sam photograph your big day and would like a chat then please get in touch to discuss your requirements. Sam would love to hear from you.